This past February, we had the ultimate pleasure of providing floral for Mary Ann and Chris' wedding out at one of our favorite venues, Bella Collina! We absolutely loved the natural element that they chose for their floral decor! 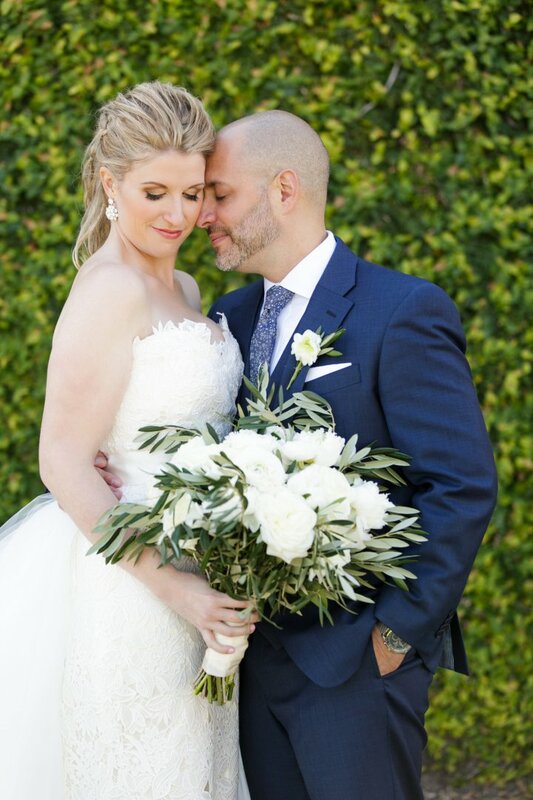 For Mary Ann's bridal bouquet, we created a loose and airy handheld bouquet made with white Ranunculus, Garden Roses, Peonies, and Olive Branches. For her Maids' bouquet, we created textured and loose Olive Branch and Seeded Euch bouquets. 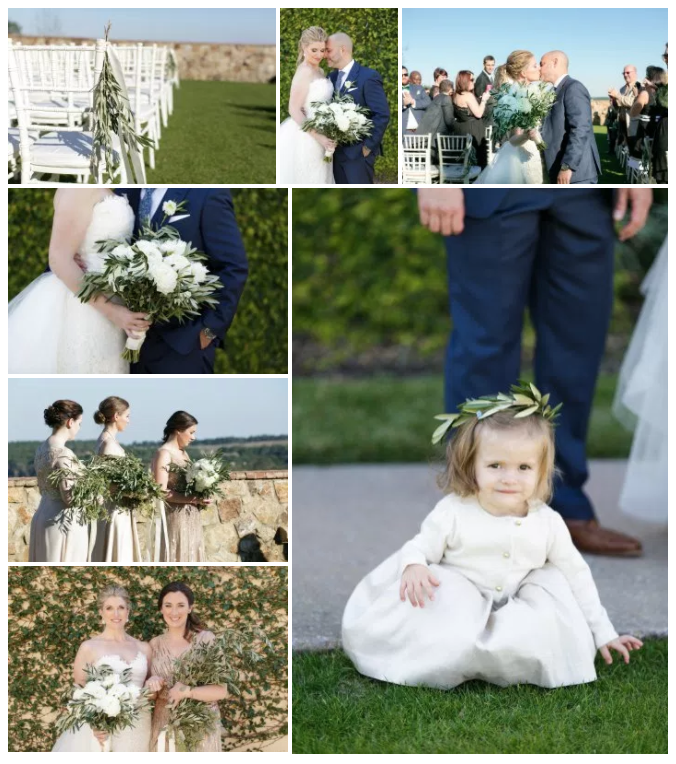 We just love how adorable her Flower Girl looks with our Olive Branch halo! We hope you enjoy these photos taken by Bumby Photography as much as we did!